Presented by Miss Dorothea Trevor, in memory of her father, 1951. Inlaid lacquer octagonal storage box. 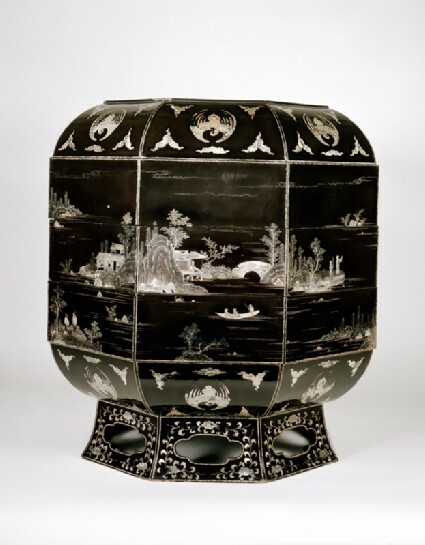 The technique of inlay is similar to other pieces from both China and Japan. 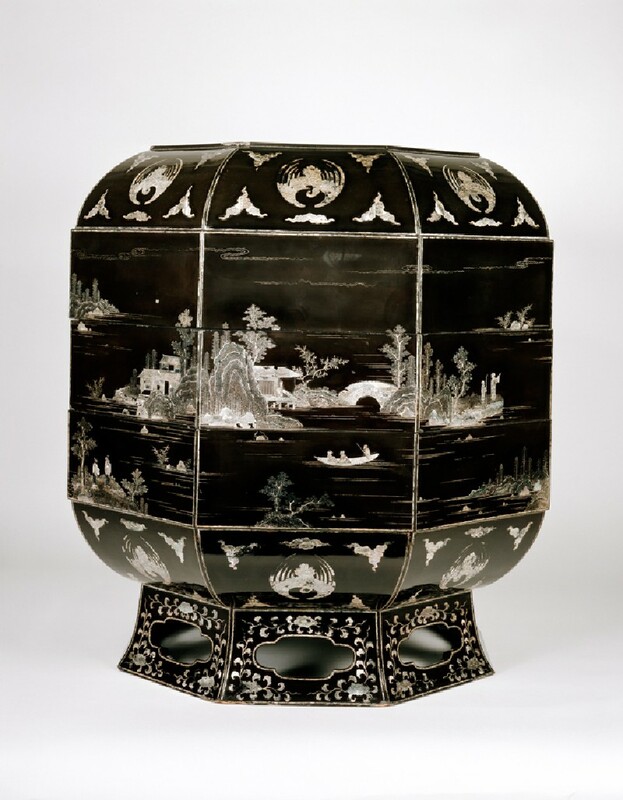 The pictorial style of landscape which runs across the joints of the layers and the scrolling on the foot is typical of the work of the Ryukyu lacquer craftsmen.